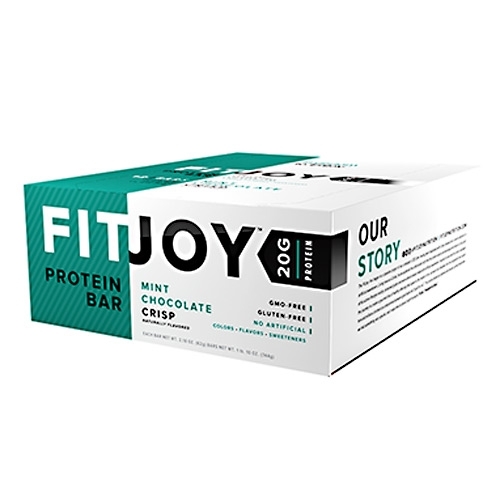 The FitJoy line began as a passion project of our company's CEO after having been diagnosed with Celiac disease and a severe sensitivity to artiﬁcial sweeteners. Living now as a Celiac, he encountered the unfortunate truth that the protein snacks and beverages which were a critical part of his active lifestyle mostly contained gluten and were almost always made with artiﬁcial sweeteners. Inspired to overcome this reality, we began the journey to create a gourmet line of healthy offerings that spoke to the foodie in him, yet were fully liberated from the ingredients that caused him and millions of others to compromise between great taste and "good for you". The process tested our patience and resolve, but we ﬁnally knew we had something very special, and it was time to share it with the world. 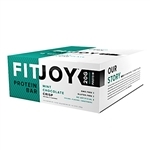 FitJoy. Freedom to Enjoy. Dairy Protein Blend, Chocolate Flavored Coating:, Isomalto-Oligosaccharides, Vegetable Glycerin, Water, Canola Oil, Natural Flavor, Unsweetened Chocolate, Erythritol, Cocoa (Processed with Alkali), Chicory Root fiber, Salt, Sunflower Lecithin, Monk Fruit Extract, Stevia, High Oleic Sunflower Oil (with Citric Acid to protect flavor). 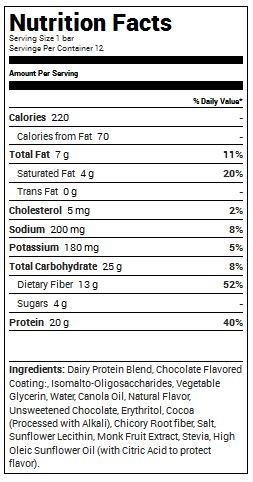 Ingredients: Dairy Protein Blend, Chocolate Flavored Coating:, Isomalto-Oligosaccharides, Vegetable Glycerin, Water, Canola Oil, Natural Flavor, Unsweetened Chocolate, Erythritol, Cocoa (Processed with Alkali), Chicory Root fiber, Salt, Sunflower Lecithin, Monk Fruit Extract, Stevia, High Oleic Sunflower Oil (with Citric Acid to protect flavor). Living now as a Celiac, he encountered the unfortunate truth that the protein snacks and beverages which were a critical part of his active lifestyle mostly contained gluten and were almost always made with artiﬁcial sweeteners. Inspired to overcome this reality, we began the journey to create a gourmet line of healthy offerings that spoke to the foodie in him, yet were fully liberated from the ingredients that caused him and millions of others to compromise between great taste and "good for you".